Whether you’re fresh out of school, looking for a career change, or want to learn a new and exciting hobby, flying lessons could be exactly what you need. Eagles View Flight School in New Jersey is located at Monmouth Executive Airport and we’re the perfect place to realize your potential to touch the skies. That you are 17 years or older. That you have passed the Federal Aviation Authority’s medical examination (a screening process that rules out certain medical conditions, including heart attack risks, fainting spells and seizures). That you pass a vision assessment. That you pass an aeronautical written test. That you receive flight training and a logbook endorsement from our certified instructors. That you log ground and flight training from a certified instructor in your specific aircraft category and class rating. That you log at least 40 hours of flight time, including 20 hours of flight training from a certified instructor and 10 hours of solo flight training. 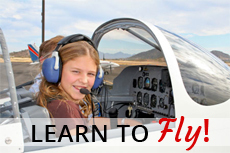 Why choose us for flying lessons? When it comes to choosing from the best flight schools in New Jersey, experience is everything. Our school has more than 20 years of pilot training experience in training professional and amateur pilots in a range of 10 different aircraft, as well as logging over 68 000 flight instruction and rental hours. We have our own FAA certified A&P/IA on site and our location, outside of the crowded New York area airspace designations, means you get to enjoy scenic open skies as you learn to fly. Confident – but calm: Pilots are well known for keeping their emotions out of the cockpit, ensuring they are able to stay calm and in control as they fly. It’s not just about hearing that reassuring tone over the intercom, it’s also about being able to properly evaluate a situation and deal with it effectively, keeping passengers and crew safe. Detail-orientated: Pilots are trained to take in hundreds of small details, evaluate them and implement a solution all within an environment that is constantly changing. Their job is to consider every possible negative outcome and worst-case scenario, and then ensure none of them happen. Optimistic: All the top pilots share a passion for flight and with this comes a real sense of optimism. While their aim is to deliver you safely and on time to your destination, they also want to share their joy of flying. There aren’t many people as enthusiastic as pilots when it comes to sharing their profession – from showing you around their aircraft and answering questions to ensuring you have an enjoyable flight. Physical and mental fitness: For a job that requires a lot of sitting, being a great pilot involves constant monitoring of your physical and mental health. Fitness in both areas helps pilots to function at the height of their abilities, enhancing decision-making, positive energy and flight safety. We’re home to Eagles View flight school in NJ and with over 20 years of training experience, dedicated Certified Flight Instructors and a fleet of ten aircraft, we have logged over 68 thousand flight instruction hours and trained many career and recreational pilots. For more information about Monmouth Airport, our flight school and flying lessons, please visit our website at http://monmouthjetcenter.com/ or contact us today.